View all current homes for sale in White House, North Bay Village, Florida. Click on a listing to the view property details, photos and maps. If you would like to change or expand your search criteria, go back to the North Bay Village search page, or try using our Advanced Search. Beautiful condo in the heart of North Bay Village. 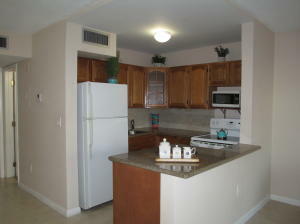 Updated open kitchen with granite countertop, Enjoy walking to shops and restaurants. Association has updated pool and laundry facilities within the last year. Convenient access elevator. Great location minutes from the bay, beaches, and highways. Welcome to the beautiful city of North Bay Village! Very well maintained and bright second floor, 1 bedroom/1 bath unit. For more information about buying or selling property in North Bay Village, please feel free to email or call us at 954-720-7111. We are here to help!